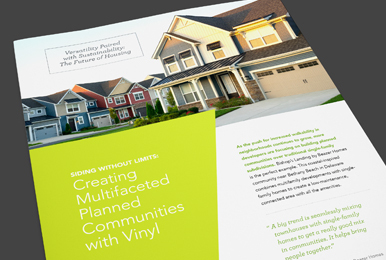 The Vinyl Siding Institute, Inc. (“VSI”) owns and operates this site and is the trade association representing manufacturers of vinyl and other polymeric siding and suppliers to the industry. VSI is the sponsor of the VSI Product Certification Program and the VSI Certified Installer Program. BY ACCESSING OR USING THIS SITE, YOU AGREE TO BE BOUND BY THESE TERMS AND CONDITIONS OF USE. PLEASE READ THESE TERMS CAREFULLY. IF YOU DO NOT AGREE WITH THEM, PLEASE DO NOT USE THIS WEBSITE. VSI RESERVES THE RIGHT TO CHANGE, MODIFY, ADD, OR REMOVE ANY OF THESE TERMS AND CONDITIONS AND ANY OTHER CONTENT AT THIS SITE FROM TIME TO TIME, AND THE CHANGES ARE EFFECTIVE IMMEDIATELY UPON POSTING. YOUR CONTINUED USE OF THIS SITE CONSTITUTES YOUR ACCEPTANCE OF SUCH CHANGES. VSI owns (or uses with permission) all registered and unregistered trademarks, logos, wallpaper, icons, characters, software, information, pictures, photographs, designs, graphics, artwork, images, audio and video clips, music, sound, text, data, manuals, articles, brochures, and other material and content on this site, and the arrangement and selection of such material and content (collectively the “Content”) unless otherwise indicated. Your unauthorized use of the Content may violate copyright, trademark, patent, privacy, and other U.S. and/or international laws, and may infringe upon the rights of VSI and any third parties not owned by or affiliated with VSI. Such unauthorized use may result in your personal liability, including potential criminal liability. Except with the prior written permission of VSI, you may not alter, archive, copy, reproduce, distribute, publish, transmit, modify, adapt, translate, display, distribute, sell, license, prepare derivative works based upon, or otherwise use or exploit the Content, provided that you are granted a limited, non-sublicensable right to access and use this site, download material from this site to your own computer for your personal use, and make multiple machine-readable copies and/or print hard copies of VSI publications made available on this website from time to time for your personal, non-commercial use, including vinyl siding installation manuals, brochures, and fact sheets, as long as you do not alter, modify, adapt, display, publish, sell, or prepare derivative works based upon such materials. You may not use bots, data-mining technology, or any other technique intended to extract data or information from this site. This site may contain Content owned by third parties. The use of the names or trademarks of such third parties and any references to their products or services does not constitute an endorsement by VSI of such parties or their products or services. VSI does not endorse or warrant the accuracy or reliability of, or assume any liability in connection with, any Content on this site provided by third parties or any of their products or services. This site and the servers that make this site available are located in the United States of America, and VSI makes no representation or warranty that these materials are appropriate or available for use in locations outside of the United States. If you access or use this site from locations outside the United States, you do so on your own initiative and you are responsible for compliance with applicable laws. By downloading or using Content or features of this site, you assume the responsibility for doing so under the law that applies in jurisdiction(s) where you are located. Access to Content from territories where such Content is unlawful or illegal is prohibited. These Terms and Conditions will be governed by and construed in accordance with the laws of the District of Columbia, without regard to conflicts of law principles. You agree that the District of Columbia is the proper forum for any claim or controversy arising out of or related to this site, the Content, or these Terms and Conditions not otherwise resolved between you and VSI. THIS SITE AND THE CONTENT AND SERVICES PROVIDED ON OR IN CONNECTION WITH THE SITE ARE PROVIDED “AS IS,” AND VSI MAKES NO WARRANTY, EXPRESS OR IMPLIED, RESPECTING THE ACCURACY OR COMPLETENESS OF THE INFORMATION PROVIDED HEREIN INCLUDING BUT NOT LIMITED TO IMPLIED WARRANTIES OF MERCHANTABILITY OR FITNESS FOR A PARTICULAR USE OR PURPOSE. VSI DOES NOT REPRESENT OR WARRANT THAT THE CONTENT ON THIS SITE OR THE SERVICES AVAILABLE THROUGH THE SITE ARE ACCURATE, COMPLETE, RELIABLE, OR ERROR-FREE, THAT INFORMATION WILL ALWAYS BE AVAILABLE, OR THAT THE SITE OR THE SERVERS, HARDWARE, OR SOFTWARE USED IN CONNECTION WITH THE SITE ARE FREE OF VIRUSES, MALWARE, OR OTHER HARMFUL COMPONENTS. NEITHER VSI NOR ITS OFFICERS, DIRECTORS, EMPLOYEES, MEMBERS, OR AGENTS SHALL BE RESPONSIBLE FOR ANY DIRECT, INDIRECT, INCIDENTAL OR CONSEQUENTIAL DAMAGES, DAMAGES FROM LOSS OF USE OR PROFITS, OR COST OF PROCUREMENT OF SUBSTITUTE GOODS OR SERVICES, IN CONTRACT, TORT OR OTHERWISE ARISING OUT OF OR IN CONNECTION WITH THE USE OF THIS SITE OR THE INFORMATION CONTAINED HEREIN. VSI ASSUMES NO LIABILITY OR RESPONSIBILITY FOR ANY ERRORS OR OMISSIONS IN THE CONTENT ON THIS SITE, WHETHER PROVIDED BY VSI OR ANY THIRD PARTY. You agree to indemnify, defend, and hold harmless VSI and its officers, directors, employees, members, and agents from and against any claims, liabilities, damages, costs, and expenses (including reasonable attorney’s fees) arising out of or related to your use of this site or any breach of these terms. If any provision of these Terms and Conditions is deemed unlawful, void, or unenforceable for any reason, then such provision shall be deemed severable from the remainder of these Terms and Conditions and shall not affect the validity or enforceability of the remainder of these Terms and Conditions. Please note that when you visit this site, any personal or non-personal data you provide will be transferred to the United States, where our site is located. By visiting this site you consent to the collection, processing, transfer and storage of such data in the United States. The type and amount of information received about you by the VSI varies according to how you use the site. For instance, you may read and download information provided on the site without providing any personally identifiable information. Our Web server will collect your domain name (for example, www.aol.com) and means of entry to the site (for example, via a particular search engine), the date, time and duration of each visit and the site pages visited. VSI collects this information to measure usage, determine efficacy of various promotional programs and make improvements to the site. This information may be aggregated into group data, which then may be shared on an aggregated basis with third parties but, unless otherwise provided for in this policy, VSI will not disclose individual identity or personal identifiable data without permission. VSI may collect personal information that you voluntarily provide in connection with your use of this website, such as your name, mailing address, email address, telephone number, password, login name, or place of work. VSI collects this information about our users to register visitors for events, e-mail updates and other features, respond to comments, questions, requests, or complaints through this site. Your participation in these features and your sharing of your personally identifiable information with us constitutes your agreement to such sharing. VSI may share information collected at this site with carefully selected fulfillment and service providers and other agents to fulfill your requests, provide you with updates, and maintain and improve our site and our offerings. VSI will not otherwise collect or disclose your personal information without your consent except as we may deem necessary, in our sole discretion, to comply with any law, regulation, legal request, or government request. Without assuming any obligation to do so, we also reserve the right to collect and share any information we deem necessary to investigate or take action in connection with suspected fraud, illegal activities, or possible harm to persons or property. VSI does not use “cookies” to collect information not voluntarily provided by you. Finally, VSI takes reasonable precautions to guard against unauthorized access to such information. These Terms and Conditions of Use were last updated on April 10, 2012.